ISO stands for International Standards Organization and, in photography, is the measure of your camera sensor's sensitivity to light. The term ISO was originally used with film to describe the film's sensitivity to light, or film speed. The higher the ISO, the more sensitive the film or sensor is, allowing it to absorb light faster and giving you the ability to take photos in dimmer settings. With film, you have to change out the roll every time you want to change the ISO, but with digital, you can change it with just the push of a few buttons. Every time you increase the ISO by a full increment, you increase the amount of light absorbed by one stop. Most digital cameras have a base ISO of 50 or 100. Each increment doubles, so your settings would be 50, 100, 200, 400, 800, 1600, etc. Most films fall in the 50-800 range, however, a few go up as high as 3200. With digital, the ISO equivalents have reached even higher. 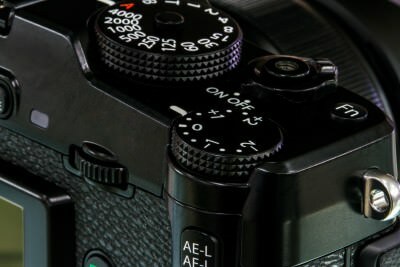 Some full-frame cameras even have an ISO of 204800! The biggest benefit of the ISO setting is that it gives you an additional control over the exposure. It is particular handy for dim situations where you can't lower your shutter speed or open up your aperture any more. By bumping up the ISO, you gain a few extra stops of light. This also helps if you're shooting action at high shutter speeds and can't lower it without getting blurry photos. Increasing your ISO will help you maintain a fast shutter speed and proper exposure. However, there is a major downfall to increasing your ISO settings. Unfortunately, increasing ISO has a drawback: digital noise. In film, the equivalent would be grain. The faster the film speed, the more grain that is apparent in the photo. This grain gives the photo a certain texture, as if it was made up of a bunch of tiny dots. The faster the film, the larger the bits of metallic silver in it, and the more noticeable the grain. A similar effect happens in digital. The higher the ISO, the more digital noise is produced. Noise appears as random off-colored pixels and can have the same dotty-looking appearance. Noise will be most noticeable in the shadows of your image, however, since you will most likely be using higher ISO settings in dimmer situations, it could potentially be very noticeable. The extent to how bad the noise shows depends on a variety of factors. At very high ISO settings, your image can prominently display noise. If you're pushing the limits of your ISO settings, pixels will contain colors which do not belong in the scene, and you may even see “hot” pixels which appear as bright red and contain no detail. There are a few other things that determine the amount of noise you see. One is the size of your sensor/pixels. Smaller sensors have smaller pixels, and smaller pixels are not as good at absorbing light meaning they are more likely to show noise. This is why point-and-shoot cameras always look so much more noisy at the same ISO settings as DSLRS. Full-frame cameras will be the best at having cleaner images at high ISO settings. Another factor is the Noise Reduction setting. This affects how much the camera tries to “get rid” of noise. There is typically a low, normal, and high setting. What this does is it attempts to make the noise less noticeable by using adjacent pixels for information and essentially adding a subtle blur to hide noisy pixels. Though any amount of NR will typically make the image look much less noisy, it also decreases the sharpness slightly.